In a new study published in the online journal Science Advances, researchers suggest a DNA repair mechanism could lead to further treatment and prevention options for neurodegenerative diseases, such as Alzheimer’s. DNA damage response is essential for body development as unrepaired damage to the DNA can lead to cell death and the development of neurodegenerative disorders. Single-strand breaks (SSB) can interfere with DNA repair and increase genomic instability. Based on this data, researchers have discovered that a special enzyme called RNA polymerase II (Pol II) can sense SSBs by traveling along the DNA coil. It will trigger several reactions to start DNA repair. 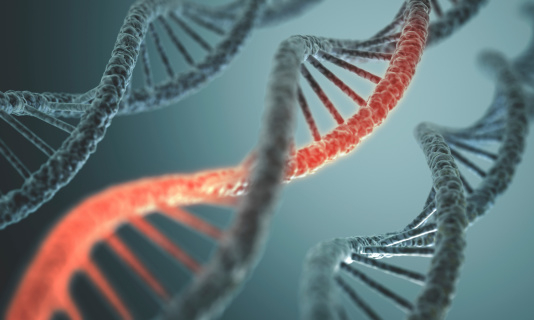 Previously, researchers believed that DNA repair was solely conceivable in histone-free DNA. They have concluded that a new option of DNA reparation can bring new methods in the treatment of diseases. McIntosh, J., “Novel DNA repair mechanism could lead to new Alzheimer’s treatments,” Medical News Today web site, July 6, 2015; http://www.medicalnewstoday.com/articles/296341.php.